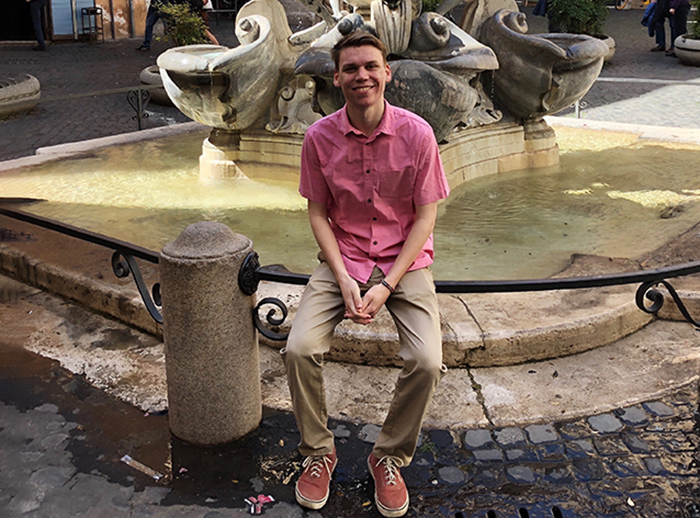 As a kid, Curtis Martin ’19 (Russian, security studies) learned early on that there are many ways to measure success, in part because his mother is a special-education teacher, and his younger sister is diagnosed with autism. When he studied abroad in Moscow, Russia, during his junior year, he tapped that personal insight by conducting original research, comparing special-education programs in the U.S. and in Russia. Below, he discusses his findings, as well as what he enjoys most about his time on campus, the person who inspires him most and his plans for postgraduation life. Russian, with a security studies certificate. Club Hockey, Club Lacrosse and Russian Club. National Security Language Initiative for Youth Scholarship and Founders Scholarship. I studied Russian for four years in high school, and I wanted to pursue the language in college. I decided to come to Dickinson because the study abroad program is very strong here. I felt that a study abroad program was necessary for me to improve my Russian, and the fact that the program is included in tuition was a big plus for me. Roasted red pepper chicken and parmesan rice. I studied at the Dickinson program in Moscow, Russia. The highlight of my experience was being able to learn about Russian culture through my immersion in the country. My Dad is my biggest influence. He’s shown me that there are many different ways to succeed and that when one opportunity doesn’t work out, you have to be flexible enough to work around it to find the next opportunity. I did a research project during my year abroad in Moscow on special education. I compared and contrasted the differences in the education systems for people with both mental and physical disabilities in the U.S. and Russia. I decided to research this topic in particular because my younger sister is diagnosed with autism and my Mom is a special education teacher at a local elementary school. I learned that currently the U.S. has better infrastructure for people with disabilities and has also been focusing on this issue longer than Russia, but Russia has the potential to catch up to the U.S. in the coming years. I am hoping to do translations for the government or a private company.